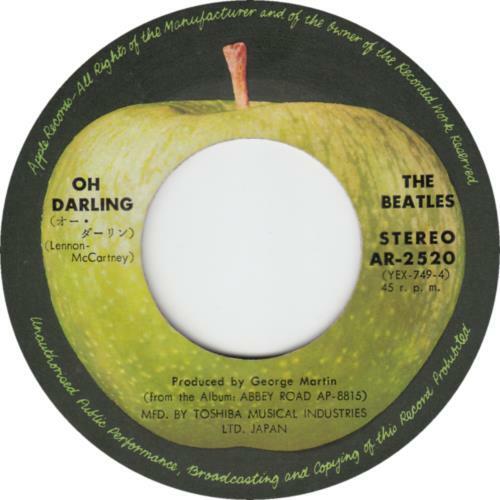 THE BEATLES Oh Darling (1970 Japanese first issue 7" black vinyl single on the Apple label, with 'Produced by George Martin, (from the Album: ABBEY ROAD AP-8815) and 'MFD. 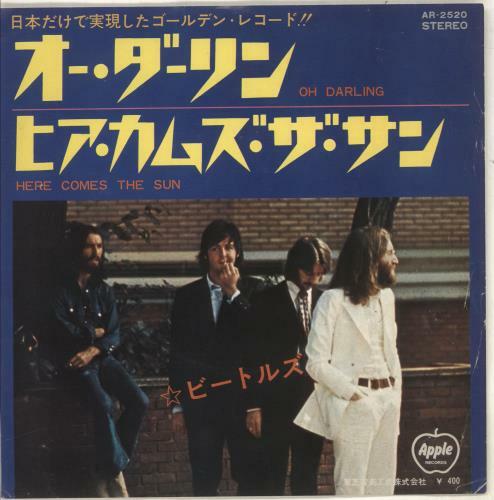 BY TOSHIBA MUSICAL INDUSTRIES LTD. JAPAN' label credits, also including Here Comes The Sun, unique picture insert with the '� 400' price point on the front and lyrics printed on the reverse. The insert displays some light wear with some light creases, whilst the vinyl looks barely played AR-2520).